Jordan is a small country at the north end of the Red Sea. It has a Red Sea coastline of just 15 miles. The coral is terrific and you will often see turtles and napoleon wrasse. It's not the place to go to see sharks and other pelagic species though. Most of the dives can be done as shore dives. For diving centres in Jordan click here. For hotels see Agoda's site. "Really happy to see how healthy corals they still have here!" "Diving on the wreck of a Lebanese Coaster. 12-30 metres. Crystal clear water, huge variety of sea life." "Lots of morays and nudis! " "The coral here is stunning and appears to go on forever, the visibility is fantastic. " "Fantastic dive with lots of pinnacled coral reefs "
"Beauuuuutiful dive just as you imagine the Red Sea to be...trigger fishes, magnificent corals, a very nice spot. Easy access even for beginners - by a little walk as we dive from the beach, very pleasant, haven't done this since cayo tortuga in Los Roques Venezuela (awesome). Very nice! " "Located just to the south of the shipwreck. Very good condition for snorkelling. The reef begins in shallow water with some fire corals and then gently slopes to the magnificent colourful reef. Large coral heads, cabbage corals, black coral, lionfish, angelfish, cornetfish, Grey moray, groupers, schooling of snappers, lunar fusiliers and the butterflies fish of the reef. " "The One spot where I have ever seen so much marine animal biodiversity and beauty "
"Named after the huge Gorgonia fan coral at 16m. After a zigzag entrance thru' fringing reef you are confronted with a huge Cabbage coral, the size of a house. There are 3 pinnacles each supporting a huge variety of life, including a Arabian Angel and Yellow Mouth Moray. Max depth 17 m, a good easy, shallow dive. " "Easy entry over grass to where reef starts at 2-3 m. Lots of interesting invertebrate life in the shallows... Swim through the pinnacles and then turn in towards the shore to another set of pinnacles "the Fairy Ring". Continue south at 8 m where patchy coral makes way for grass and sand till you will see in 6 m an M40 anti aircraft tracked vehicle ("The Tank") scuttled in September 1999 to create an artificial reef. Play around it, but not on it as corals are beginning to colonise and Seastar is recording the colonisation process. From here make your way to the safety stop and out. " A wall often done as a drift dive. You may see sharks and moray eels. So-called because the dive site is near a power station, 5 km south of Aqaba. "Located near to the Saudi Arabia border, 4 km south of The Royal Diving Club. One of the most popular dive sites. Drop off reef with a very long wall extend up to 850 m distance. " " The best dive site is on the Saudi border. " "I don't like wrecks but this one was worth it"
"Big ship wreck with a lot of corals." "This wreck, which is about 8 5m long, is resting on two reefs, I saw three huge Napoleon fish!" "Visbilty 25 m, water temperature 25 oC, easy for beginners. Good value for money." "Cedar Pride is amazing, really big ship lying on the side facing the deep. Very colourful and breathtaking"
"A little further down the coast, towards Saudi, lies the wreck of the Cedar Pride. This 1,161 tonne freighter, while not a huge ship, is the only diveable wreck in Jordan and is a spectacular dive. " "The wreck of Lebanese freighter (760 tons, length 81m and 20m wide) was purposely sunk in 1986. The wreck is marked by a surface marker buoy less than 150m offshore. She lies on her port site, bridging two reefs, so you can swim underneath her at about 25m. Near the stern is a life boat in 20.5m of depth. The Ship is in good condition, tank area can be swum inside. 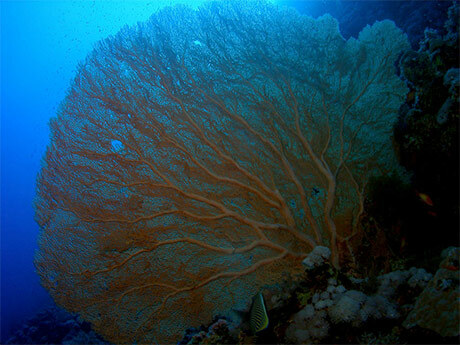 Very good soft corals, magnificent garden of sea fans covering the wreck inside and outside. Fish Life: Lionfish and angelfish, large snappers, school of double bar break, barracuda, and the smaller reef species such as damsels are well represented." "Very good wreck. 26 m depth, 80 m long, 15 m width." "Nice reef, I saw a turtle. " 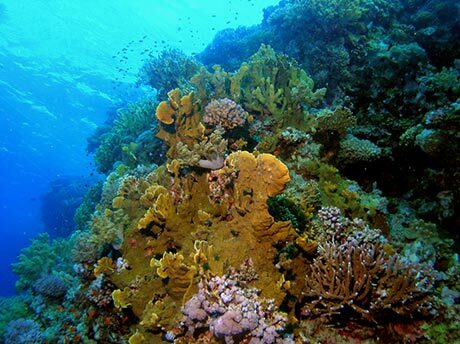 "This reef is also amazing, its not too deep over most of it (5-40 m) and so the colours are very vivid. " "Seven towers covered in beautiful coral with many different fish both tiny with brilliant colours to larger spectacular specimens. " "Located south of the shipwreck. Great for snorkelling. 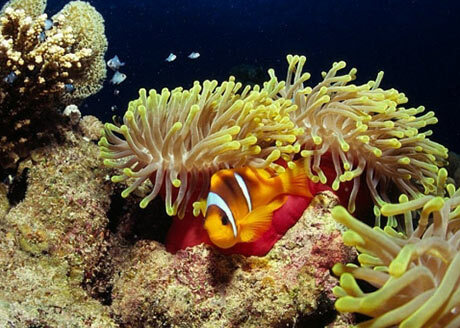 The reef begins in shallow water with some fire corals and then gently slopes to the magnificent colourful reef. Large coral heads, cabbage corals, black coral, lionfish, angelfish, cornetfish, Grey moray, groupers, schooling of snappers, lunar fusiliers and the butterflies fish of the reef. " "Incredibly easy entry and exit right from the dive center dock. They have several very old wrecks that have the wildlife living and growing within the protected areas. Current has never been a problem, visibility spectacular. " Any comments? Do you want to recommend a dive site? Let us know.